This is a fantastic Google map of the Wainwright Fells in the Lake District. 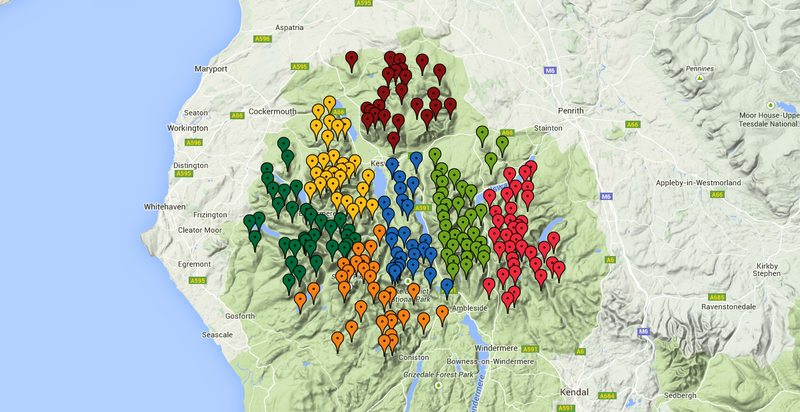 The map is extremely informative and a great tool to get to know these wonderful fells. Go to the Wainwright Fells Map page for some quick instructions on how to use the map. 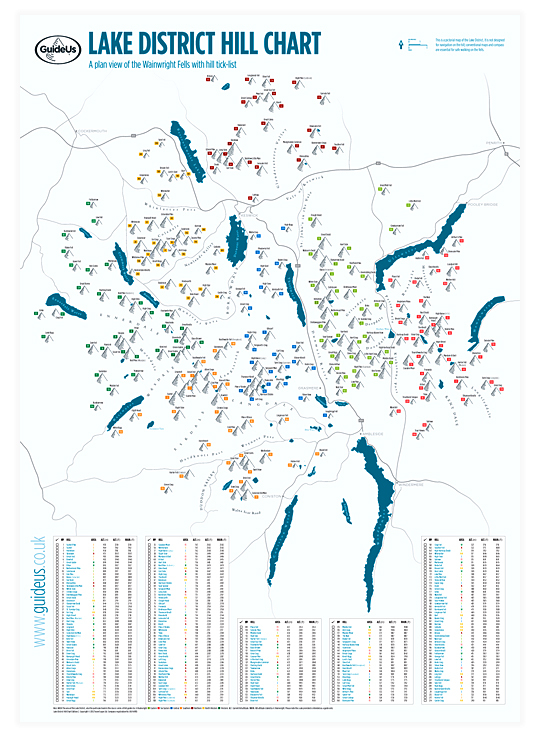 GuideUs has released edition 2 of their lake district map showing all 214 Wainwright Fells, changes for this new edition have included colour coding each of the 7 Wainwright areas with their associated book colour and updating the fell information table. More details of this Lake District Wainwright map can be seen at GuideUs.co.uk, in the Wainwright Fells Map section of their website. Skiddaw, one of the most famous Wainwrights, provided the stones used to produce a very beautiful sounding musical instrument. This fascinating lithophone, created by stonemason Joseph Richardson in 1790 has a unique sound produced by tuned slate obtained from Skiddaw in the Lake District. Famously named ‘The Musical Stones of Skiddaw’ the instrument can be seen in the Keswick museum. Alfred Wainwright was born in January 1907 and died in January 1991. After a holiday in the Lake District in 1930 at the age of 23, his life was then devoted to the discovering and sharing of beautiful Lakeland walks. His now infamous pictorial guides to the Lakeland fells cover the Lake District’s greatest peaks in tremendous detail. There are 214 hills in total and numerous Wainwright walks are recorded through his classic illustrations and detailed text. 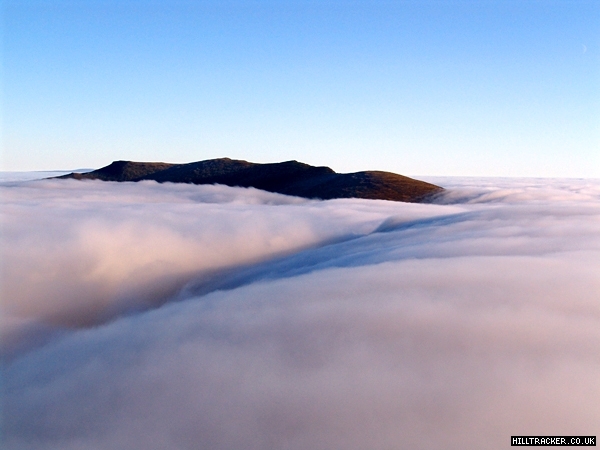 A beautiful inversion captured from the summit of Skiddaw with Blencathra protruding in the distance. This photo was taken during a perfect Lake District inversion in 2006.